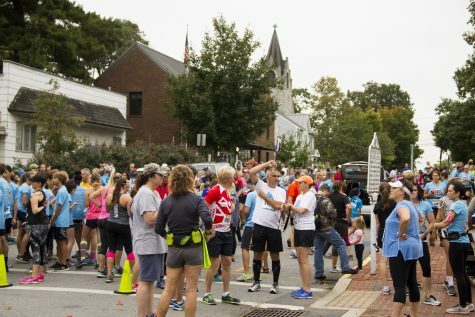 Runners line up in Harper’s Ferry preparing for the full marathon. 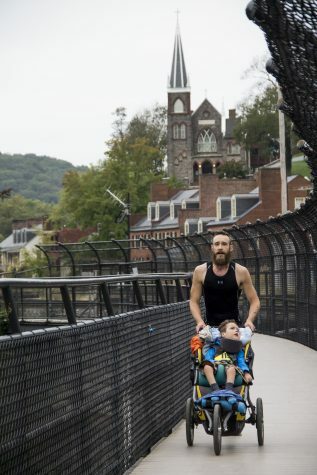 Marathon runner pushes his child across the picturesque footbridge in Harper’s Ferry. 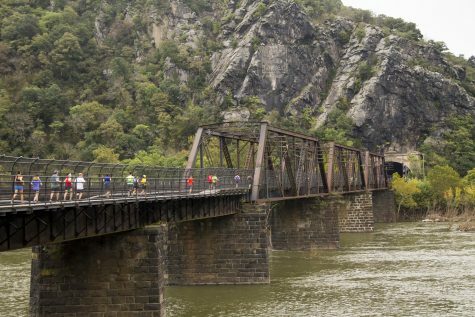 Runners trekking across the bridge into the Maryland side of the Potomac. 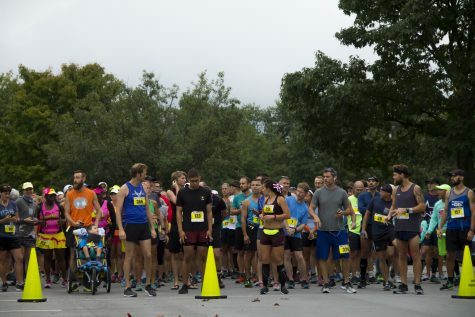 10k and 5k runners in Shepherdstown waiting for their turn to shine. 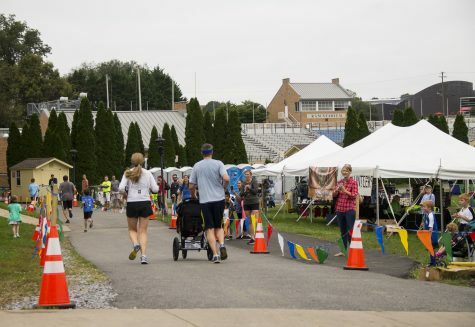 People of all ages partook in the various races. 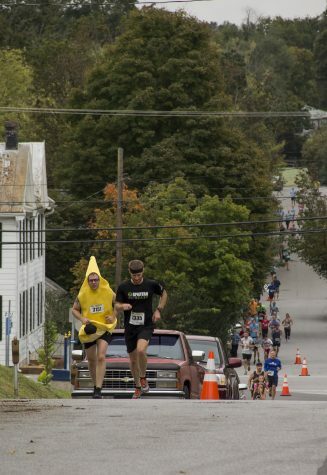 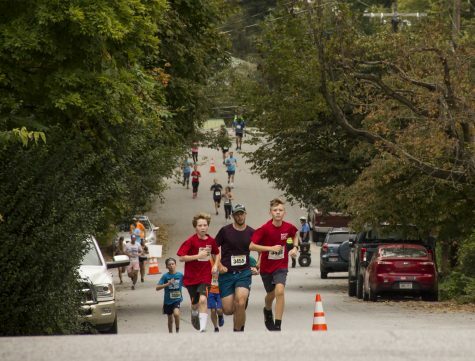 “We love banana man!” is heard from cheering children as local runner, Than, heads for the finish line. 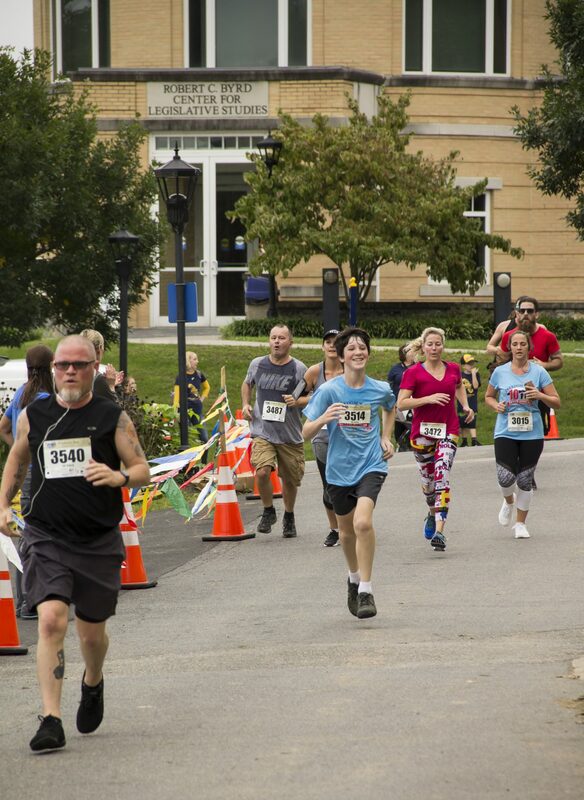 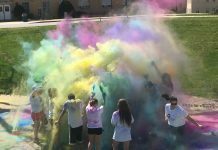 Families and friends cheer on their loved ones as they breech the finish line on Shepherd University’s football field. 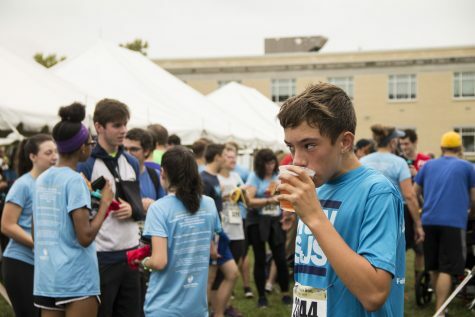 Runners refuel on pizza, coffee, and kombucha. 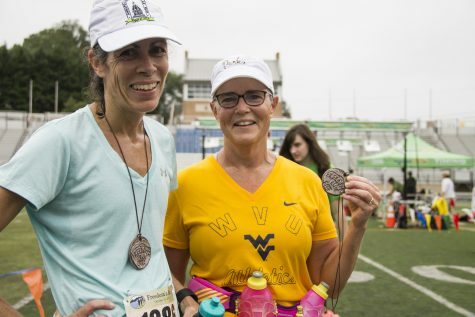 Half-marathon runners with their metals made by local potter, Joy Bridy. 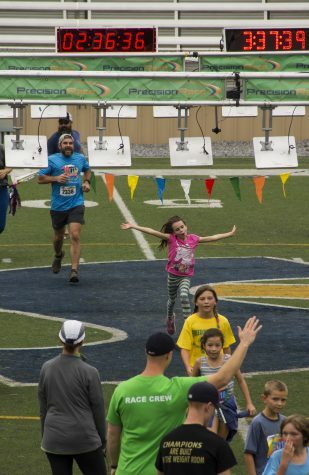 Kids of all ages make their way across the finish line for the Fun Run portion of the race.